Guest blogger and student Sara Lewis ’15 writes about The Susan B. Anthony Institute’s trip to see The Gender Show at the George Eastman House today! One of Rochester’s most remarkable attractions, The George Eastman House International Museum of Photography and Film, is home to over 400,000 photographs, 28,000 films, 53,000 publications, and 25,000 pieces of photo-related equipment. The Eastman House is often regarded as highly as the Library of Congress, the Smithsonian, and The Metropolitan Museum of Art in the realm of visual culture and technology. What sets this apart from many world famous New York City and European art institutions is that the Eastman House prides itself on its rich history as the former residence of the “father of modern photography and motion picture film,” George Eastman. The museum’s current exhibition, The Gender Show, explores the ways in which gender has influenced our social, political, and cultural understanding of the world. With an extensive collection of photography that spans 170 years, the presentation will fascinate those interested in gender, sexuality, identity, and visual and popular culture. These are topics pertinent to the mission and goals of SBAI and the Institute will be taking students to visit the Eastman House today, September 27th, to explore the exhibit. Students have traditionally been instructed to read historic and modern texts to grasp the changing concepts of gender and sexuality. The Gender Show will provide them with the exciting opportunity to examine and discuss these topics through a completely unique and stimulating medium. 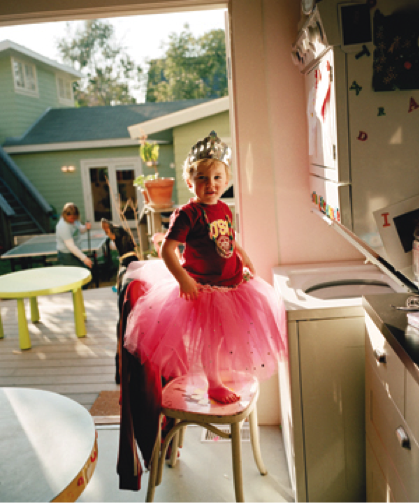 A photo by Catherine Opie on display at The Gender Show. The Gender Show will run until October 13th at the George Eastman House. Detailed information regarding admission expenses, hours, and location can be found here.